Prices of non-ferrous metals extended losses on Thursday, as worries over weak demand caused by Sino-US trade tensions persisted. China and the United States had agreed to a truce in their months-long trade war on Saturday, with US President Donald Trump agreeing to refrain from raising tariffs on January 1. But he has also warned that the US will revert to tariffs if the two sides cannot resolve their differences before the stipulated 90 days. Three-month copper on the London Metal Exchange fell 0.8 per cent to $6,142 a tonne by 0132 GMT, extending losses from the previous session. 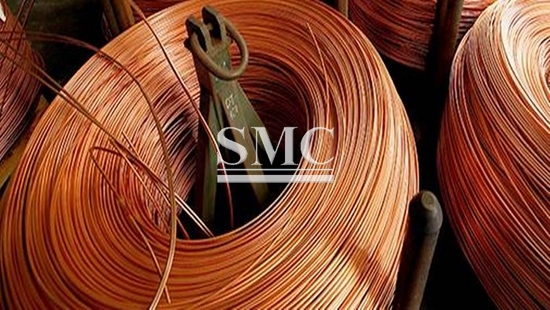 The most-traded copper contract for February delivery on the Shanghai Futures Exchange dipped 0.7 per cent to 49,100 yuan ($7,163.07) a tonne. China's services sector grew at its quickest pace in five months in November thanks to an uptick in new orders, a private survey released on Wednesday showed, although the outlook for businesses over the next year worsened for the third month. BHP had on Wednesday said it had received approval from the government of Western Australian to develop a nickel mine in the state that will feed its Nickel West battery chemicals business. Albemarle Corp has launched an aggressive lobbying campaign after Chilean regulators denied its request to boost lithium output, stressing the company's importance to Chile's economy and workers, according to records reviewed by Reuters. US stock futures and Asian shares tumbled on Thursday after Canadian authorities arrested a top executive of Chinese tech giant Huawei Technologies, fanning fears of further tensions between China and the United States.